Is cold formed steel a sustainable building material? Are more and more of your construction projects calling for sustainability? Have you wondered about the best materials and methods to meet green standards? If so, you’ll want to take a closer look at cold formed steel. Cold formed steel (CFS) is a tried-and-true partner in sustainable construction. It's one of the best materials to build with when projects call for minimal carbon emissions and waste, low impact to local communities, and an energy-efficient finished building. Sustainability is important for a range of reasons. Responsible, green construction practices contribute to the well-being of future occupants and the surrounding population. Sustainable buildings are also less expensive to operate and maintain. If you’re an architect, developer, or engineer looking to achieve LEED, Green Star or other green certifications, it’s wise to specify CFS. In this blog, we take a deeper dive into the unique sustainability benefits of cold formed steel construction. A building material’s sustainability comes into clearer focus when compared to other common materials. For example, consider timber vs. CFS. Timber, while a well-understood traditional material, can lead to thermal bridging. This means higher building energy costs. Also, timber construction processes can increase a project’s carbon footprint, which demands measures to offset environmental impact. Over its life, CFS promises a more eco-friendly process and better-performing buildings. The properties of CFS yield better acoustic and thermal ratings. And, construction procedures with CFS can greatly limit waste and other ecological burdens from end to end. Looking for more benefits of cold formed steel? Download this eBook to read how CFS is the perfect material for roof trusses. 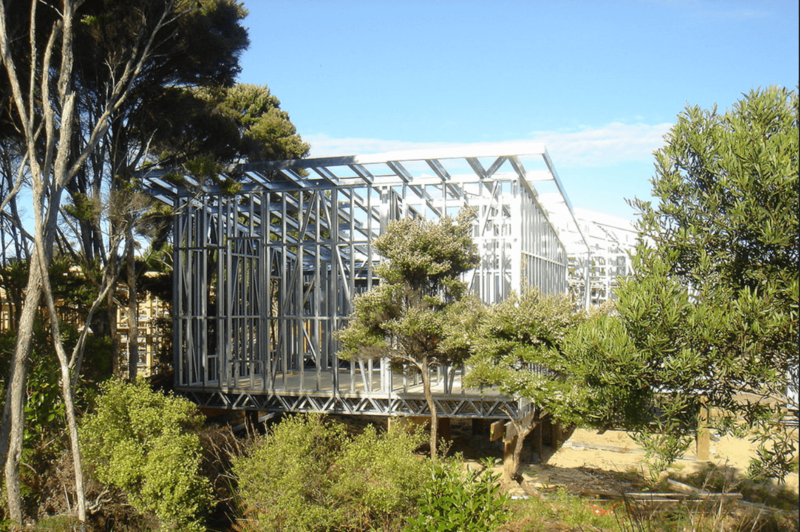 Given the superiority of structural galvanised steel, buildings constructed with CFS are well-suited to outlast those built with timber or concrete. And, CFS structural elements such as wall frames and flooring can be configured to minimise heat loss in interior spaces. CFS Buildings are routinely built to high-performance benchmarks. Many earn Energy Star status, and meet or exceed industry standards set by LEED and other authorities. The U.S. steel industry cut energy use per ton of steel by one-third between the early 1990’s and 2007 — which proves the growing viability of structural steel for sustainability efforts. Modern building performance simulation (BPS) software can be used to reliably forecast energy a building's energy efficiency, helping firms comply with strict local energy codes while cutting costs. CFS can be reused and recycled, and CFS components are created with minimal waste — helping earn points towards high sustainability ratings from LEED and other groups. Finally, the sustainability of CFS is obvious when it comes to the issue of thermal transmission. Everything a building consists of — from trusses, beams, and joists to the smallest bolts and screws — are potential channels for heat loss. While this may go unnoticed in warmer climates, it can quickly become an issue in colder areas where heating and insulation are crucial. Insulation, in particular, can become an additional expense to make up for heat loss. For example, a 1” layer of foam for a wall assembly can add thousands or more in construction and eventual building energy costs. When the goal is to avoid construction budget blowouts and produce sustainable, high-performing buildings, FRAMECAD is your trusted partner. We advise developers and architects on energy-efficiency approaches such as power-saving heating and cooling systems, windows placement, and strategic usage of insulation. We can also facilitate the inclusion of steel manufacturing in the design phase, so that framing is created with a minimal need for extra insulation or other code-compliance measures. The outcome is a building with a smaller energy footprint and excellent performance, long-term owner and occupant satisfaction, and cost savings from start to finish. Building with CFS via the FRAMECAD process is a great way to achieve sustainable construction. Cold formed steel affords excellent thermal design, is very long lasting, yields little waste, and is recyclable and reusable. Using it helps builders attain compliance and recognition from leading green building authorities. If you’re aiming for sustainable results with future projects, there is a strong case for making CFS your number-one choice in building material.